Advice please...i don't know what i should do???? sell this for a mk2????? how tatty is the mk2? is it a 3dr nd wat colour nd mods? 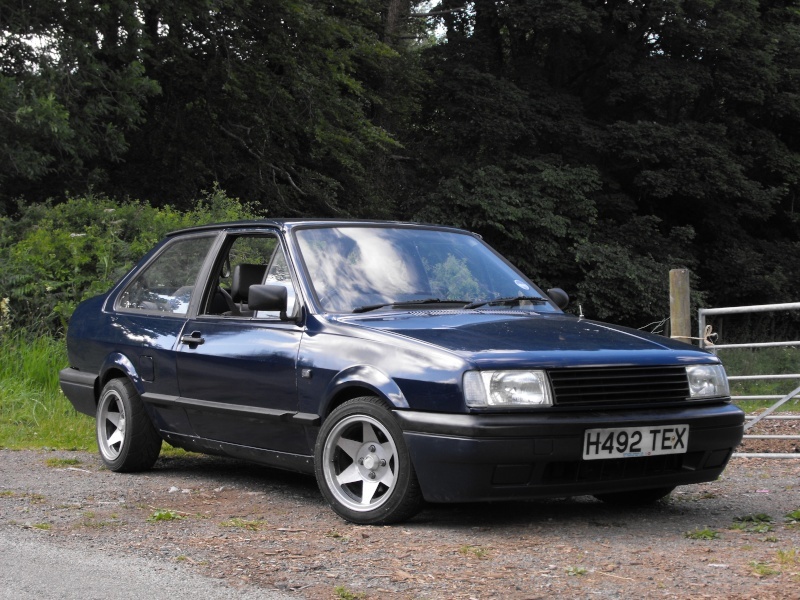 or a helios blue 3 door.... the one i want.....rust around the badges on the back and under the rear drivers side window....interior mint.... but i dunno.... small bumpers.....says he knows the history of this one says it was well looked after. ........i still like the polo???? argh!!! why do vw's make nice cars!!! like it's been said there aint many polo's about.....mainly golfs....i like em both...! go for the blue one haha, i flashed a polo loony today and it wanst even u! oh, and congrats matey, im 3months in to being a dad and its awesome! how do you have any money left????? I think you're talking yourself into keeping the polo so keep it. and as of 12 weeks ago.....i'm gonna be a dad! Nice one Ben:D , Han didn't mention you were expecting . . . . .or is it a secret ?? but we had the scan this morning! all good. Subject: Re: Advice please...i don't know what i should do??? ?